It’s probably appropriate that the evening of Chi Vu’s booklaunch for her Gothic novella was a dark and stormy night. On 24 April, upstairs at the Sidney Myer Centre, we were cossetted from the fickle weather and treated to drinks and nibblies before the main event. The launch was hosted by Asialink and Giramondo Publishing, and was a full house. Giramondo has published quite a few Asian Australian literary works to date, including Adam Aitken (Eighth Habitation), Kim Cheng Boey (Between Stations), Brian Castro (Shanghai Dancing, The Garden Book, and The Bath Fugues), and Tom Cho (Look Who’s Morphing). Chi’s novella is part of a new series by Giramondo that focuses on shorter works (including poetry, memoir and fiction). Also included in the ‘shorts’ series are Eliot Weinberger’s Wildlife and Michael Wilding’s Wild and Woolly: A Publishing Memoir. There are many more in the pipeline, if the entries on Giramondo’s website are anything to go by. Chi Vu was born in Vietnam and came to Australia in 1979. After studying at the University of Melbourne, she worked as a theatre maker, dramaturg, writer, artistic director and arts administrator. Chi Vu’s plays, which include the critically acclaimed and widely studied Vietnam: a Psychic Guide, have been performed in Melbourne and Sydney, and her short stories have appeared in various publications, including The Macquarie PEN Anthology of Australian Literature. Chi’s adept practice across forms and projects is infused with a consistent awareness of the constructedness of culture and language, a fierce engagement with emotion, and careful attention to the texture of interactions. The proceedings formally began with a short introduction by Nic Low, who runs Asialink’s international writing programme. Peter Mares then spoke engagingly about how he found his own way into Anguli Ma via material about migration and refugee experiences. He confessed that most of his knowledge was channelled through statistics and policy documents. He contrasted this mode of understanding the issues with Chi’s work, which is defined by considered psychological nuances. Chi read out a short excerpt, then she and Peter had a tight and informative Q&A session on comfy white couches. Their conversation covered the Gothic genre, issues of language and translating (which led to the question of who the reading audience is), and the twinned narrative of Dao and the Brown Man. The launch ended with a second short reading by Chi, and plenty of applause. The format was effective, with short but highly detailed conversations. Mares was an excellent launcher, and clearly had a respectful rapport with Chi. I remember reading Mares’ 2002 book Borderline: Australia’s response to refugees and asylum seekers in the wake of the Tampa and the profound influence it had on my understanding of asylum seeker and refugee politics. I must admit to being a bit of a Mares fangirl, so seeing him in person in his ‘launcher’ role was quite a bonus. Anguli Ma is described on the cover as “a Gothic tale”, and it was interesting to hear Chi talk about how she thought she was writing magic realism, only to have others point out that the narrative was replete with the uneasy and (potentially) gruesome. She describes the story as addressing themes of “cultural amputation”, dislocation, and social exclusion. Through her protagonists, Chi writes with a fresh and evocative directness about the highly filtered experiences of Vietnamese Australian communities. A performance of this project is planned for early June in North Richmond. Although just formally launched last week, there’s already a very positive review about Chi’s book at the ANZ LitLovers LitBlog HERE. Thankyou Tsee for an informative write-up. Good to see the book doing well already, and that Chi Vu has been able to write about the Vietnamese Australian community in an innovative literary way. 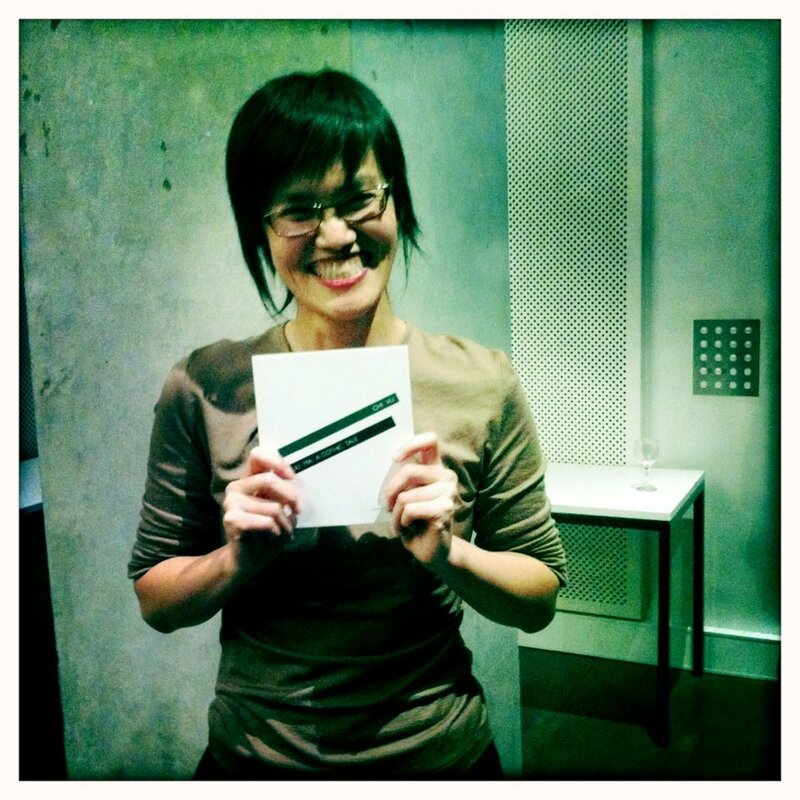 Good things coming out of Melbourne – as a Sydney writer I am of course a bit envious but completely inspired and encouraged by Chi Vu’s success! I found you! I went to the old address. It’s been colonized by some domain sitter. My goodness so much to catch up on!